China’s sudden ban on the importation of recyclable waste threatens household recycling bin collection in Australia. The local waste industry is in a mounting crisis and says recycling bin pickup contracts with councils across Australia face default without urgent action by state and federal governments. No matter how complex a problem is, the solution may be surprisingly simple. Cheap storage of renewable energy for 24/7 reliability. Boost natural gas supply and bankrupt the CSG industry. 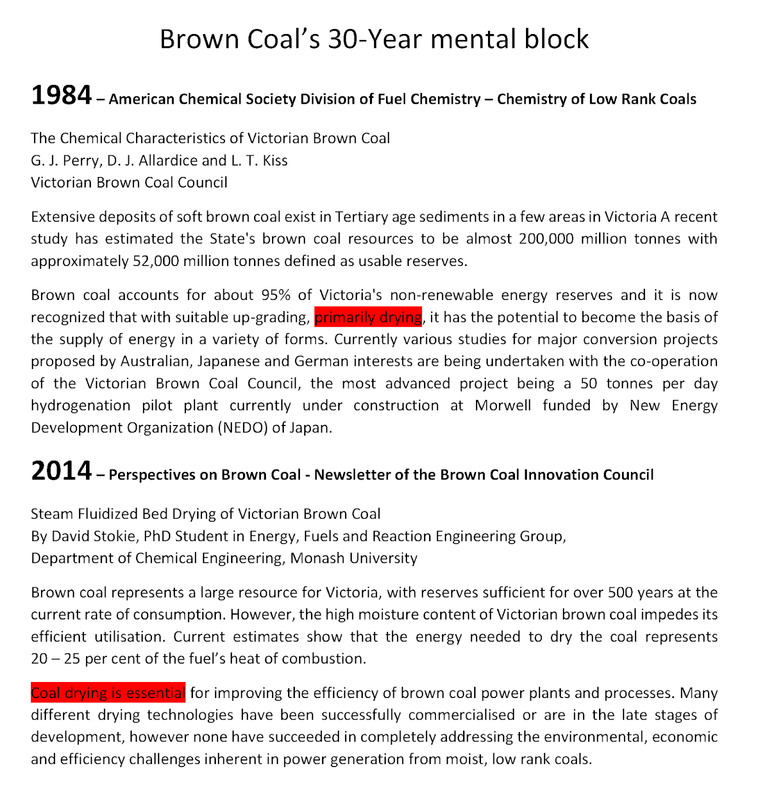 Establish beyond doubt that coal power plants are obsolete. For every 100 kWh of renewable energy stored in a battery, between 80 - 95 kWh is returned when the battery is discharged. Using the same 100 kWh of renewable energy in a plasma gasifier to convert waste to gas returns at least 200 kWh. It's cheaper than a battery and returns more than double the energy when needed. Plasma gasification converts carbon-containing substances to gas using electricity to produce an extremely hot plasma to decompose complex molecules. Renewable energy can be stored by using it to create gas from waste in a plasma gasification plant. "After many years of development with our Japanese partners. 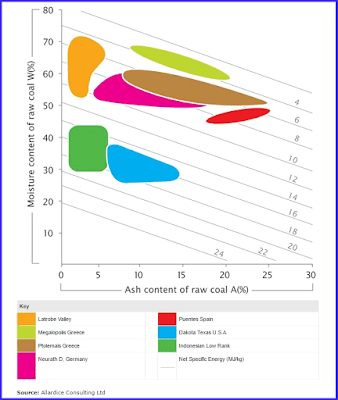 Global Green International's (GGI’s) New Project: Coal to Electricity with Microwave Steam Torch Plasma is now ready for release." 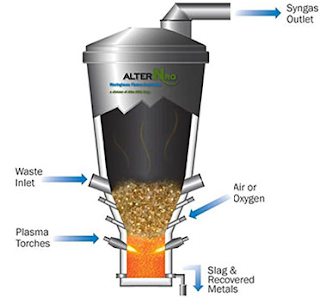 Westinghouse Plasma Gasification technology is already at work in several facilities around the world to produce electricity from more than 40 different waste streams—including municipal solid waste, commercial waste and industrial waste. 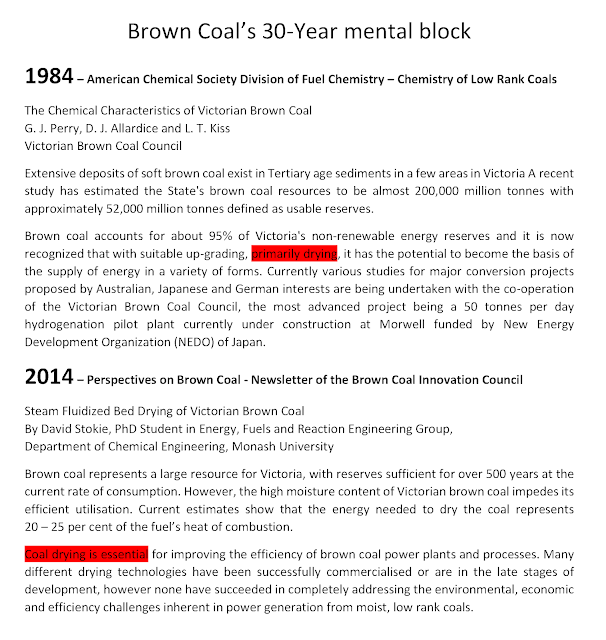 Victorian brown coal is very cheap and the mine for Hazelwood is available. Re-allocating it to energy storage avoids new mine development. Because this brown coal is about 60% water, a lot of energy could go to waste converting this water into nothing but water vapour. 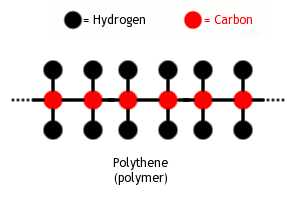 Waste plastic that is a new and mounting 'crisis' consists of carbon and hydrogen polymers but NO WATER. Gasifying a mixture of wet brown coal and waste plastic in the right proportion so all the water reacts with decomposed plastic to form syngas avoids wasting energy in the process. India has absolutely NO NEED for Queensland's Adani Carmichael coal mine. Gas power generation is far more efficient, cheaper and cleaner than coal fired power plants. It is also evolving more rapidly than coal power plants. The required technology already exists.